Hello! I'm back with another fun Halloween design. This time I've gone for some pumpkins, as you can't have Halloween without pumpkins! I've also used two Pretty Serious Cosmetics polishes I've been waiting for this time of year to use - 'Haddonfield' and 'Pumpkin Head'. I thought I'd stay within the brand for the whole mani, so used 'Absence' for my stamping. Read on to find out more! I painted my index and middle finger with 'Haddonfield', an orange jelly base full of orange glitters and black shards. It is densely packed, and builds up easily in just two coats. I then painted my ring and pinky fingers with 'Pumpkin Head', a bright orange creme. This has a bit of a thicker, jellier formula, but is very smooth and self levelling. It is opaque in two to three coats depending on your application. Both are shown below with topcoat. 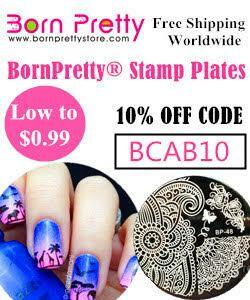 I stamped using Pretty Serious 'Absence' and my Born Pretty Store clear stamper and scraper. 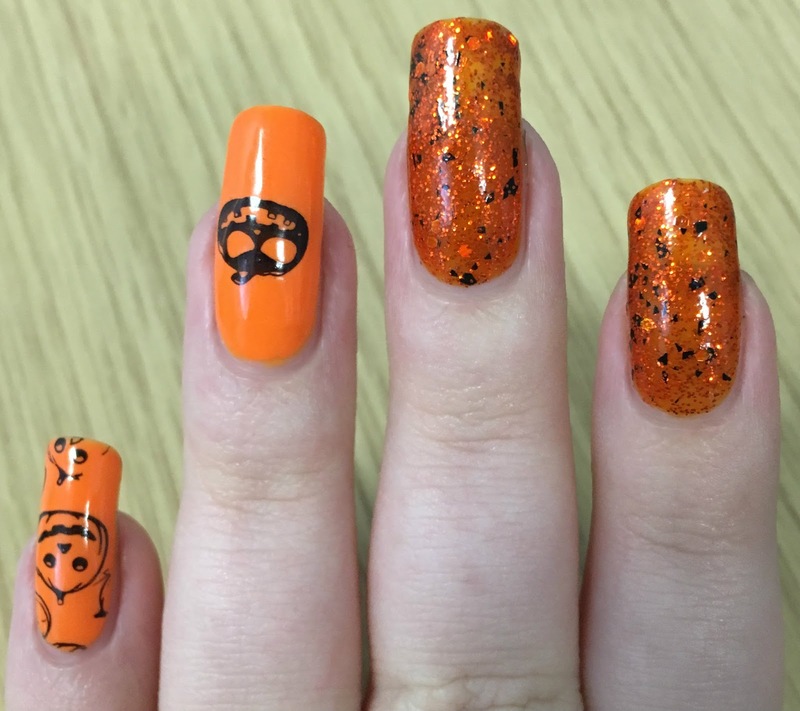 I stamped one of the singular pumpkins from hehe plate 057 onto my ring finger, and the cute pumpkins from MoYou London festive plate 15 onto my pinky finger. I finished by sealing everything in with topcoat. What do you think? As usual, I love them! The angry looking pumpkin on my ring finger isn't quite central, but you can't really tell unless you look closely (maybe I shouldn't point it out!). I've had the idea for this mani in my head for quite a long time, so I'm happy to have finally managed to do it. You can find the Pretty Serious Cosmetics website here. For those of you in the UK like me, you can also find their polishes over at Rainbow Connection here. I'm digging that Haddonfield polish! I love that you basically used the same colour in different finishes! I love that orange with black glitter, how cool and seasonal! 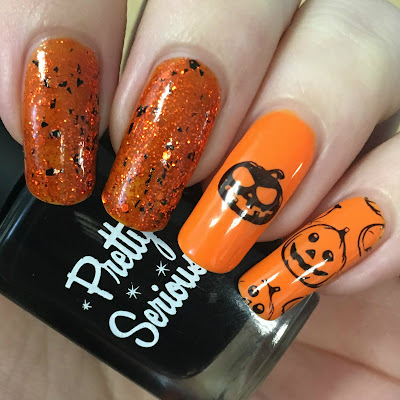 What a lovely pumpkin mani. Simple n eligent. Both polishes look so lovely together.